On Friday November 19, I participated in a virtual Zinfandel tasting on Twitter. Went to BevMo the night before on a mission to find two delicious zins to taste under the $15 price point. 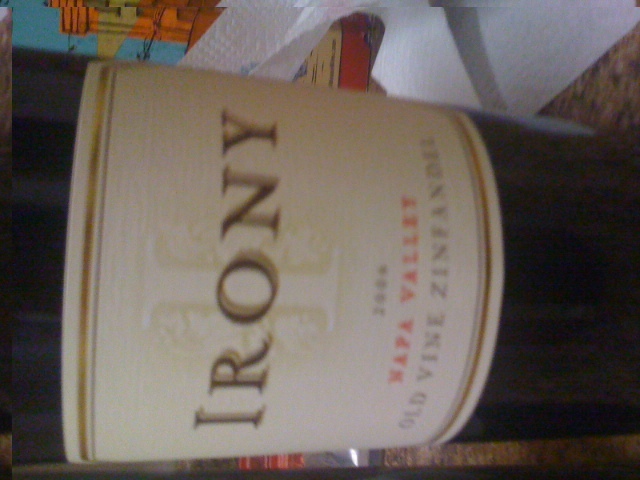 I picked out the 2006 Irony Napa Valley Old Vine Zinfandel – because I love a good old vine zin – and a helpful employee recommended the 2009 Main & Geary Zinfandel (Dry Creek Valley). The words “Napa Valley” and “Zinfandel” usually are synonymous with big, ripe, jammy flavors. This is not the case with the Irony. 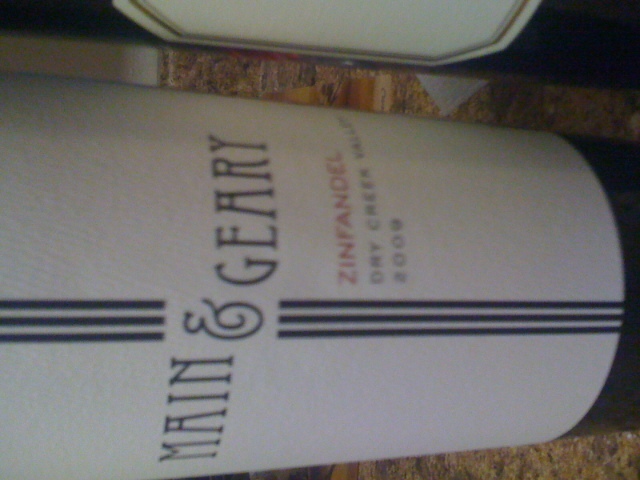 This zin had nice blackberry and pepper notes, and was surprisingly dry on the finish. I did like the complexity, and it was definitely different. Do not pick this bottle if you are looking for a fruity zin, but if you prefer them on the dry side this is for you. This tasted great with pizza! I used to steer towards Napa zins (some favorites being Rombauer and Grgich Hills), but these days I have been drinking more Dry Creek zins. The Main & Geary is incredibly rich with delicious strawberry and raspberry jam notes coming out. A teeny bit of black pepper on the finish. The berry notes linger on for quite a while. This zin is definitely made in a bigger style and is absolutely delicious paired with turkey.